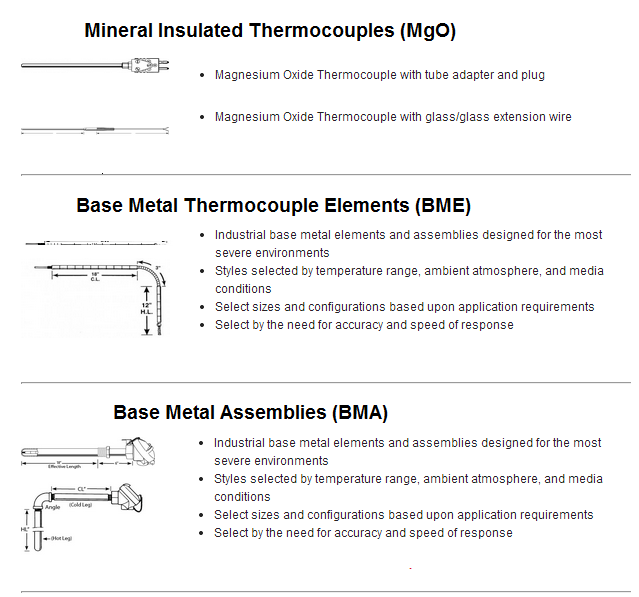 MgO thermocouples and base metal thermocouples are all manufactured with the highest industry standards. 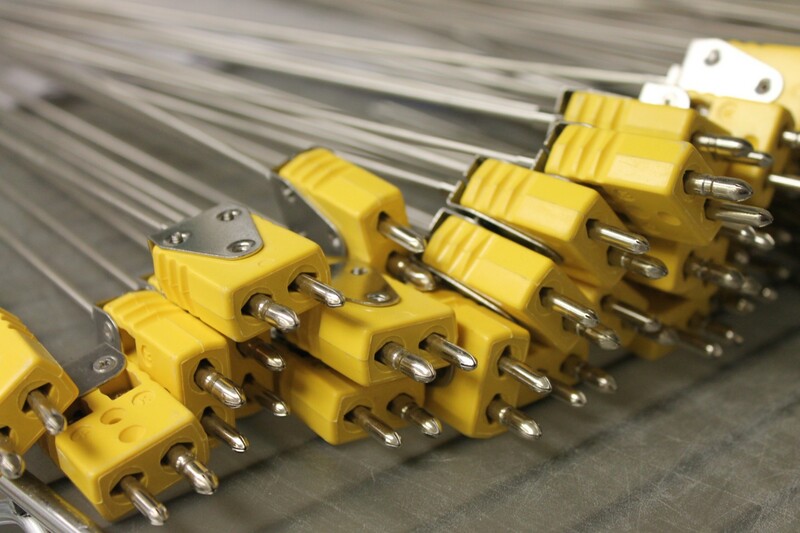 Typically used in heat treating, molten metal, plastics and other high temperature processes for temperature monitoring, System Accuracy Tests, and more. Offered in a variety of sheath materials, diameters, and configurations, the data sheets are representative of the products we provide. For your special requirements, please contact our Sales Department.